Fit for personal inventor, digital education and low cost production. The desktop 5 axis CNC can be used everywhere on the table, low cost quick design to production Desktop NC is 5 axis digital machine tool. Controlled by Windows system, use CAD or CAM to mill. Desktop NC support G code control as well. As pocket size, five axis motor main axis have speed 0-24000rpm, enough for professional designer basic application. 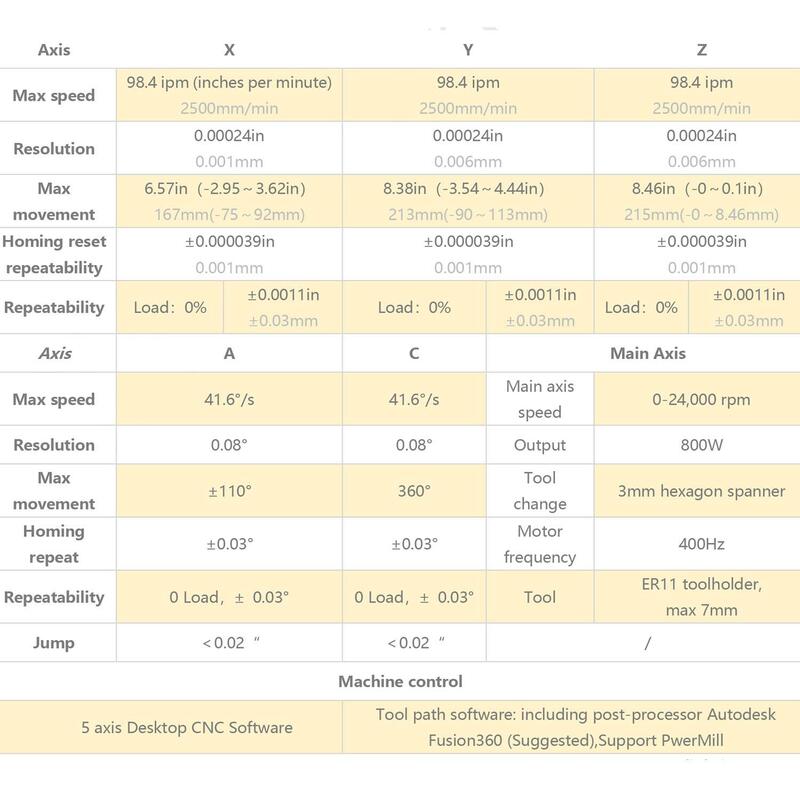 Small 5 Axis NC is upgrade version use No.57 servo motor, normal motor movement speed within 2.5m/min, and servo speed can be within 12m/min, servo no noise, high reaction, positioning accuracy, warning with no steps. 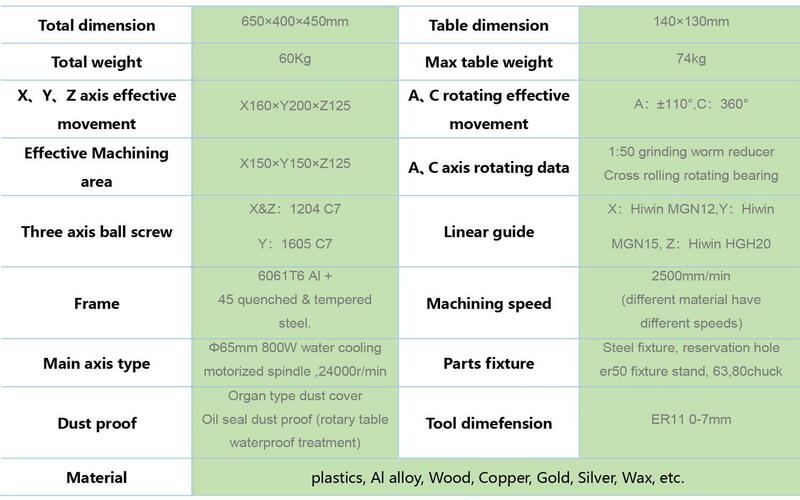 Desktop NC support to mill material as common plastics, Al alloy, Wood, Copper, Gold, Silver, Wax, different materials can use different tool bit, without use wrench, easy operation. 1.Where are your location to produce 5 axis desktop CNC machines? We design, manufacture, and produce our machines in our workshop in China. The machining is either done here in our workshop or by machinists in our domestic mainland. We source as many parts as possible from Taiwan or Japan. We ship all machines from our workshop here. 2.Can I use other tooling in 5 axis desktop CNC machine?